It has been one party after another it seems! The Head of HR for BAS is staying on base for two weeks and it was his birthday so as I was on earlies I made starter of smoke salmon with puff pastry, a steak dinner with creamed spinach and potatoe gratin. 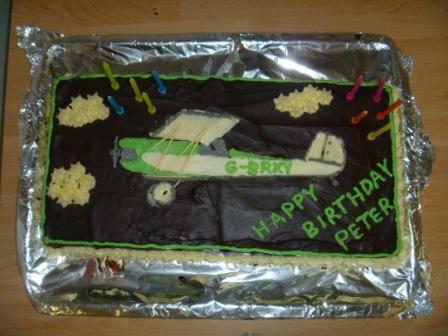 Followed by a chocolate cake that Tommy helped me decorate with Peter’s airplane. James had asked to look at a picture and got the registration for us and colours. We presented him with a framed picture that Sam took of star trails at the Greene with the glaciers behind. I quickly through the frame together from some driftwood we had picked up off the beach on the Greene. Dinner was followed by a wonderful presentation by Pat Lurcock of his slides taken when he did a traverse of South Georgia in 1999 with three others. It took 29 days in total and they climbed a total of 25000 feet over the 175km or so trip. No one has done this trip before or since – quite an accomplishment.